Turning seawater into drinkable water is a highly desirable capability given that fresh water is generally in short supply and seawater is endlessly abundant. 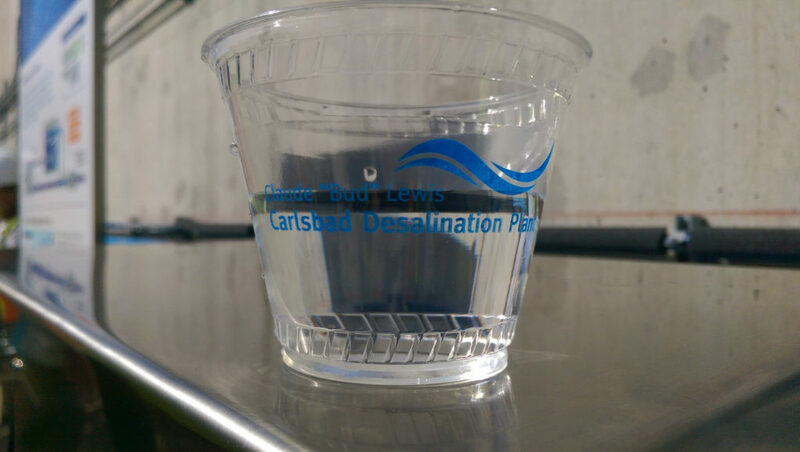 Desalination plants typically strain salt out of seawater by pumping it through films made of polyamide. Polyamide filters are riddled with tiny pores that allow water molecules to squeeze through, but not sodium ions. The limitation of polyamide filters is that organic matter, along with some other particles in seawater like calcium sulfate, can accumulate in the pockmarked surfaces of the filters and prevent water from passing through the pores. Because of this clogging, plant operators have to replace the membranes frequently or install expensive equipment that removes the contaminants before they reach the filters. Researchers at the University of Connecticut have recently developed a super-smooth version of the polyamide filter that doesn’t have the little divots that trap particles. The new filter material could cut costs for producing freshwater, making desalination more broadly accessible. Current salt-filtering films are made by dipping porous plastic sheet into chemical baths that contain the chemical ingredients of polyamide which then glom onto the sheet, building up a thin membrane. The new technique sprays the polyamide building blocks onto sheets of aluminum foils, growing the filtering film layer by layer. The result is an ultra-smooth film that reduces the amount of gunk that accumulates on the film when it is used. The researchers are now testing exactly how clean the new films stay over time. Hundreds of millions of people around the world already rely on desalinated water for drinking, cooking and watering crops and the need for fresh water continue to grow. Photo, posted February 13, 2017, courtesy of Jacob Vanderheyden via Flickr. ‘A Better Saltwater Filter’ from Earth Wise is a production of WAMC Northeast Public Radio.